Anyone Know What This Came From? 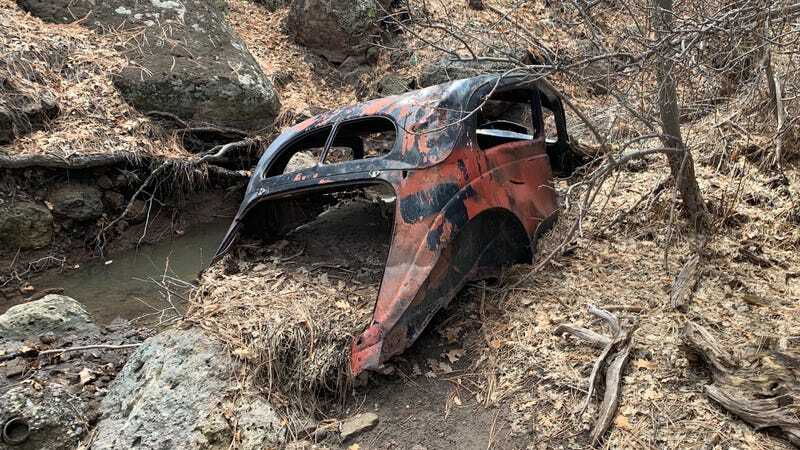 Found this car body in an arroyo at the bottom of a canyon while hiking this afternoon. Didn’t appear to have a frame or drivetrain. How it got here I have no clue. Looks 1940’s but the condition and construction seem much newer... maybe a replica? I’m not too familiar with this era of design - anyone recognize it?